The inspiration for LandMark came from more than seven years of working with brands and media agencies on location data to improve business outcomes. While location data has (and continues to be) a powerful tool for meeting media objectives, we realized that its applications went far beyond just advertising. Brands, agencies and other entities began using location data to inform larger strategic decisions like where to open retail stores, which partnerships to forge, and where/when to make investment decisions. 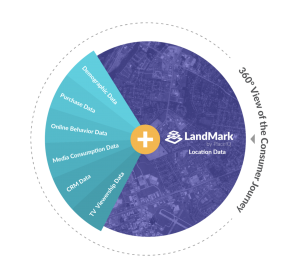 LandMark is a different kind of data offering because it reimagines the building blocks of location data. We’ve spent years cleansing and refining our dataset, which makes it insights (and the data itself) a unique industry offering. LandMark provides a real world-based view of the consumer journey, connects with brand’s own datasets, and can connect multiple marketing touch points for a truly integrated marketing approach. It can inform media decisions like where and when to place ads, which creative will resonate best, and accurately measure ROI for campaigns. It democratizes location data to help brands solve for nearly any type of business challenge. — How far are auto intenders willing to travel to purchase a car? — How many unique visitors went to specific dealerships in Q1? — How do major sales events, like President’s Day affect Share-of-Visit among a brand’s competitive set? At the Modern Marketing Summit New York, we were thrilled to be joined by Bank of America’s Lou Paskalis, SVP of Enterprise Media Planning, for a session that showcased what LandMark can do for retailers. 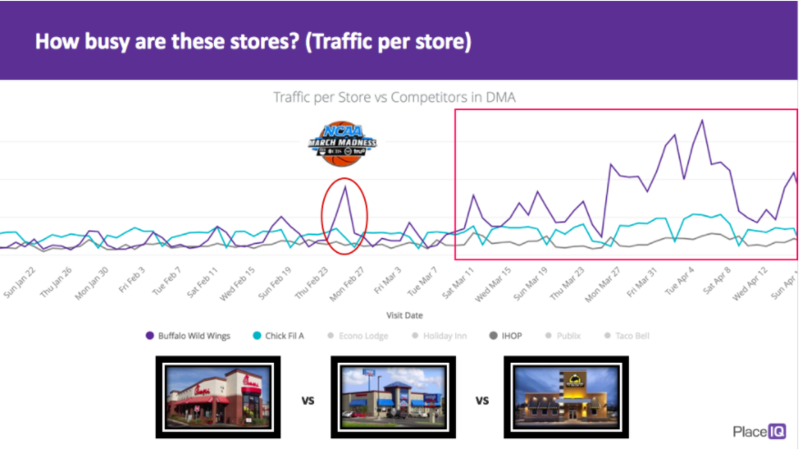 In a unique analysis, we showed that location data can even the tangible effects of Spring Break in the dining and QSR categories — Buffalo Wild Wings does incredibly well in the very lucrative Panama City, FL area! Finally, we just recently publicized some work with a small sampling of our LandMark customers, which included Ansible, Gas Station TV (GSTV), Havas Media, and The Media Kitchen. With these customers, we were pleased to showcase the diversity of sophisticated audience analytics, customer segmentation and competitive intelligence that we’re offering. LandMark was also recently called “the most sophisticated method for marketers to analyze foot traffic” and the winner of an American Business Award for of 2017’s best new business and competitive intelligence solutions. 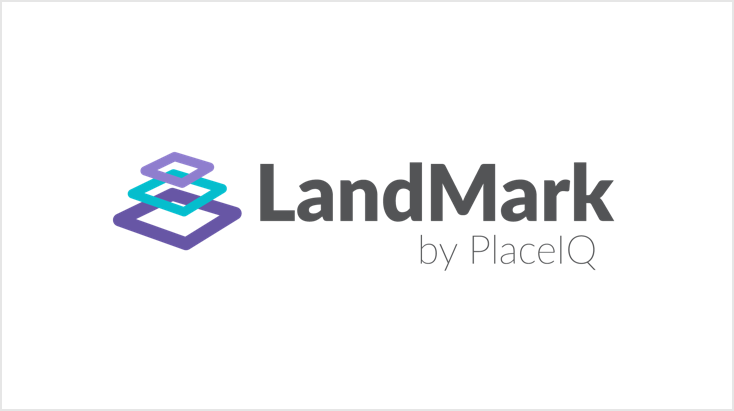 To learn how using LandMark data can benefit your business, send us a note at sales@placeiq.com.